Product prices and availability are accurate as of 2019-04-18 16:09:06 UTC and are subject to change. Any price and availability information displayed on http://www.amazon.com/ at the time of purchase will apply to the purchase of this product. We are a family company that strives to offer the very best products for child safety. Guided by honest American values, we treat our customers like family and care about your happiness and well-being. It's our goal to make the home a safe haven for your children so that you can close your eyes without worrying. Our innovative child safety products are of the highest quality, safety tested, and child secure. Door Knob Covers are easy to install, reuse, and move around from room to room. They snap easily onto most standard door knobs. 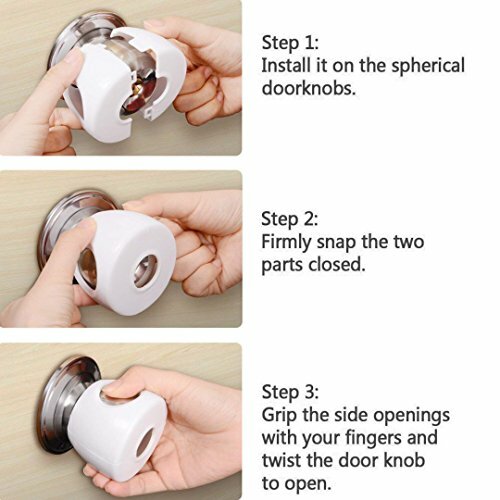 The Door knob covers are simple & quick to install. With just one click your home is childproof! 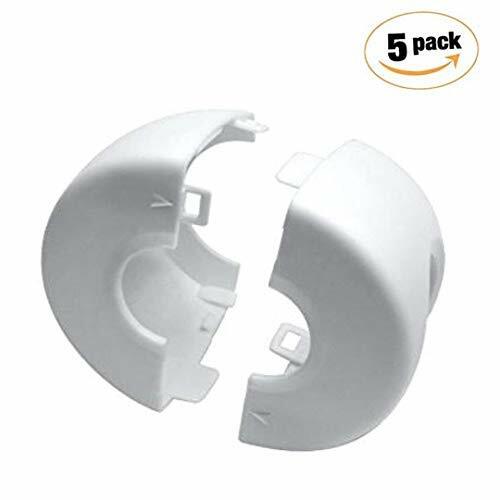 5 PACK - The Door Knob Covers by AMZ Wholesale is the ideal way to prevent your child from entering dangerous rooms and make sure that your little angel is safe and sound, even if you're not in the same room all the time! SLEEK DESIGN - These Door knob covers are white so they can blend in to your doors & won't be an eye sore in your beautiful home! EASY INSTALLATION - The Door knob covers are simple & quick to install. With just one click your home is childproof! MATERIAL: Soft PP and TPR will not cause injuries to children. 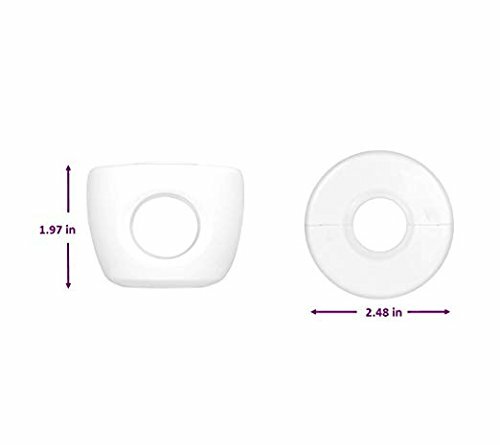 Special button design can effectively protect babies' fingers from getting stuck. 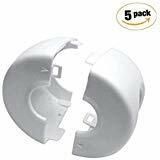 LIFETIME MONEY BACK-GUARANTEE: If at any given point you're not 100% satisfied, we'll offer you a prompt and full refund of our child safety door knob covers!